Its not too late for Easter styles, but … if it’s too late for you, you’re welcome to book in as soon as the Easter holidays are over. We’d love to see you. A haircut is one of the most important things you can do for the health of your hair. 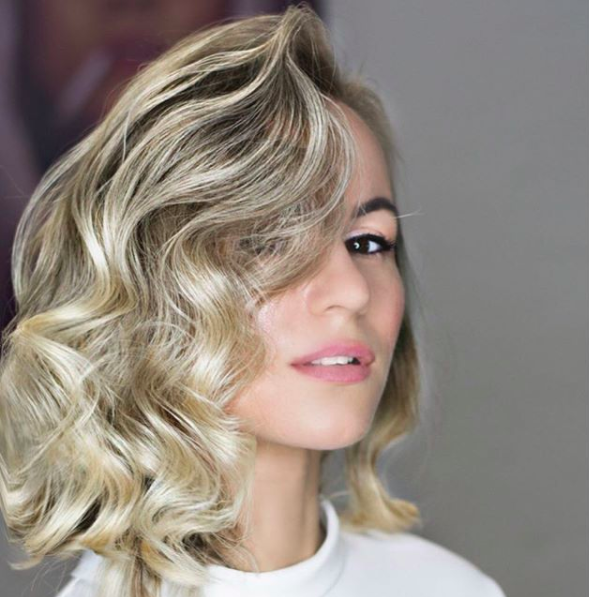 If you’re dealing with split or damaged ends – often a result of excessive heat damage – book in for a cut and then adhere to trims every 8 weeks thereafter. Styling-wise, you’ll notice the difference instantly. We’re proud to offer the fabulous Kevin Murphy TREAT.ME in-salon treatments. Containing ‘Super Proteins’, amino and alpha hydroxy acids from vegetables and plants, they strengthen the hair shaft and repair damage created by heat styling and chemical services. TREAT.ME can be tailored to suit each of your individual hair needs and will make the surface of your hair more smooth, supple, and elastic. TREAT.ME is colour safe and like all Kevin Murphy products is sulphate-free. Our hair colour line COLOR.ME uses gentle and naturally derived ingredients to naturally moisturise and rejuvenate your hair, creating natural looking results with incredible shine. From rosy golds to icy blondes and velvety toffees to ruby reds, give your hair a beauty boost with our range of luxury colours. If Alexa Chung, Chrissy Teigen, or Blake Lively are your hair muses, chances are you favour the look of a rough-and-tumble texture. But that’s not to be mistaken for unhealthy hair. Firstly, towel-dry your hair for 15 minutes before flipping your head upside down and blow-drying until it’s eighty percent dry. Finish by smoothing the ends – The last three inches are key, so move your brush and dryer right down to the very ends of the hair, before applying a texturising spray and scrunching up to the mid-lengths. 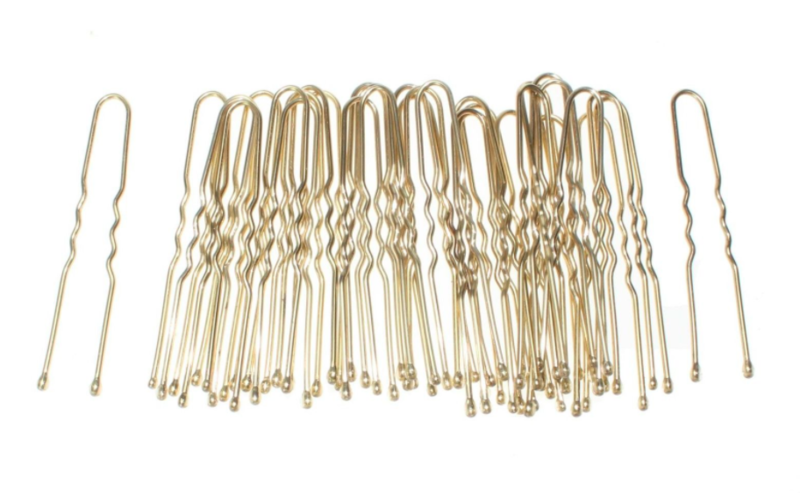 We all know about bobby pins, but what about their U-shaped cousin, the hairpin? Like the bobby pin, the hairpin is double pronged, but its prongs are open, making a shape like the letter “U,” which is why it is often called a U-shaped pin. Both prongs of a hairpin have ribbing to help it stay in the hair and keep the style in place. If your hair is extra soft and fine, look for hairpins that have textured prongs instead of the traditional sleek metal prongs. Hairpins are great for styling delicate updos because they are light and disappear into the hair better than bobby pins. Their open shape means they won’t flatten your bun like a bobby pin can, while still holding your style in place. To create a modern, messy bun with hairpins, first gather hair into a pony tail anywhere on on your head. Keep in mind that your ponytail placement will determine where the centre of the bun will be. Next, divide your ponytail into sections and lightly backcomb. The texture will help the hairpins stay in place. Wrap your backcombed ponytail around the base and pin in place by holding the hairpin perpendicularly to your head and catching about two centimetres the hair that’s in the bun. To secure, flip the pin flat against your scalp, and push in toward the centre of the bun. We love a good hair colour switch-up, whether we’re after that on-trend hue or just some subtle highlights, nothing says new me more than a new do. Sometimes however, our clients want to give their hair a breather, and this step can be a tricky one. 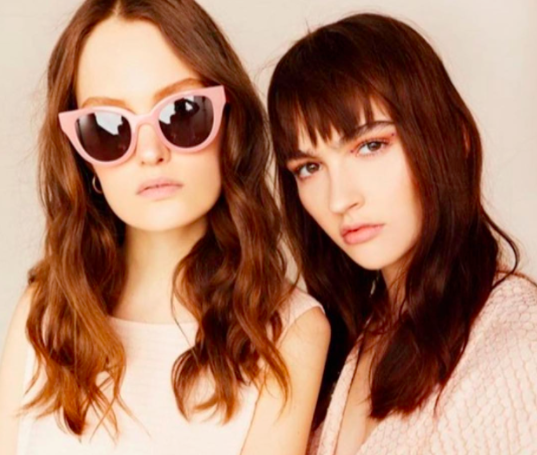 Whether you want a change in colour or just feel like your locks have had enough, we’ve lined up our best tips on how to make growing out your colour that much easier. Going back to your natural colour can be a fairly long process that takes a decent amount of planning. 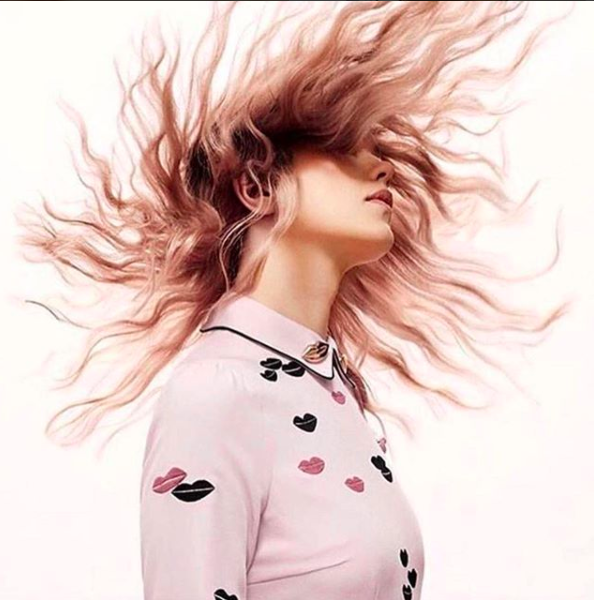 We recommend working alongside your colourist to find out the best process, and be sure to let them know your entire hair history so they can know exactly what your hair has been through – that spontaneous moment when you bleached your hair really does matter! With a colourist you can plan the route, and while it may take a few salon visits, it’ll be worth that extra time to avoid damage to your hair and top notch results. 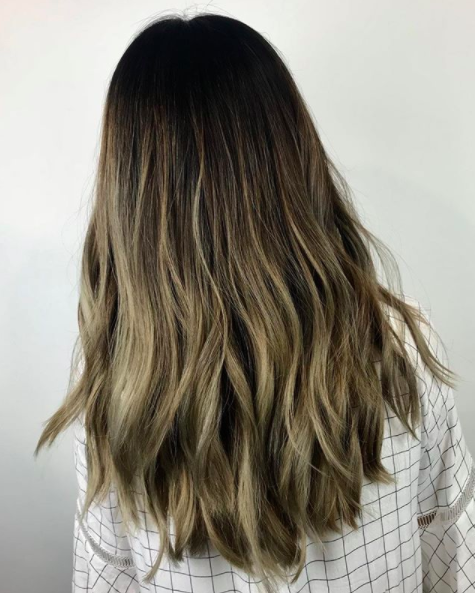 If you already have subtle babylights or opted for balayage, you don’t have to worry too much, but if your highlights go right to the scalp it will take a little more effort to keep things looking good as you grow your colour out. The aim of the game is to create seamlessly grown out colour. The best way to do this is by using a mixture of highlights and lowlights, letting your natural colour blend seamlessly. This will darken your entire hair colour and over time create a natural ombre look. A gloss or toner can also be used on the roots to create a middle colour between your natural locks and your highlights. This will soften the harshness between the roots and highlights and ease your natural hair colour back into the equation. 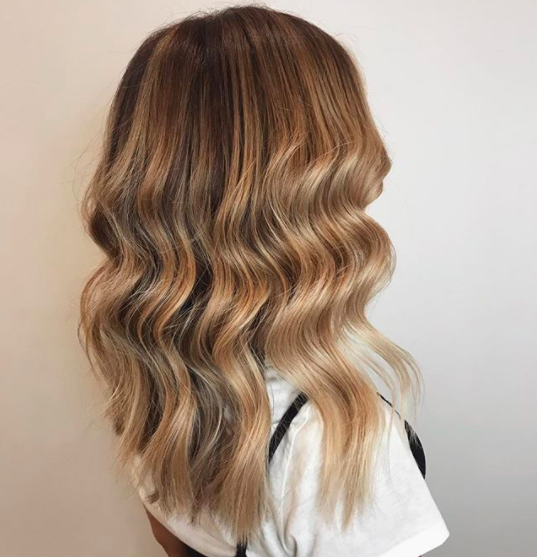 When going darker from blonde, we recommend starting with a natural caramel blonde shade, then at your next colour appointment go darker again. Repeat until you’ve got the colour you want. Alternatively, adding some lowlights will reduce the contrast of your roots for a softer and natural look. While you can disguise dark roots and light hair as an intentional ombre, light roots and dark hair can be a more difficult challenge. To avoid damage it’s important to take things slowly and work with highlights to subtly blend your multi-tonal hair. 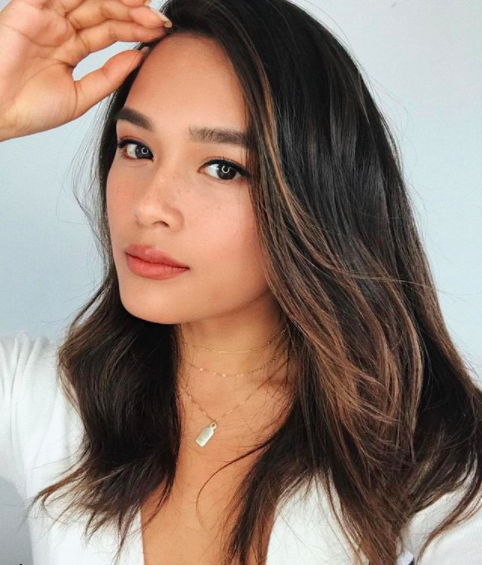 Ask your colorist to create a base that is lighter than the dye but darker than your natural hue, and then subtle highlights can be added to lighten your look. You may also want to consider balayage on the lengths of your hair to balance your roots and ends. Whether you’ve gone electric blue or pastel pink, these striking shades take up a lot of time and upkeep. Surprisingly, these colourful hues aren’t the hardest to ditch because dyes this bright are usually temporary. Faded pastels, however, can look dull and you may still end up with a slight tinge of colour. Once your hair colour has faded, you may want to add in some highlights and lowlights to add back the depth to your locks. A gloss treatment will also restore shine and vibrancy to your hair. As we head into winter, now is definitely the time to avoid venturing out with cold, wet hair. And for those who shampoo in the morning, that means sacrificing precious time to blow-dry. In the interest of saving you time, here are the six steps to speed up your morning blow-dry routine. Shaking the water out of your hair as soon as you finish showering will cut down on dry time. Take a minute or so to gently shake your hair, then squeeze out any excess water. Then, to really remove all the excess water you can, repeat the whole process one more time. When towel-drying your hair, make sure to be gentle – this means no rough rubbing! Consider investing in a microfibre towel designed specifically for hair. These towels are more gentle than standard bath towels and help eliminate frizz and damage before you turn on the blow-dryer. 3. Use a heat protectant. While it may seem like an extra, unnecessary step, skipping heat protectant is never a good idea — mainly because of the long-term damage you’ll be doing. Plus, the right formula can actually shave minutes off your blowout by decreasing drying time and protecting your hair from breakage. Apply it to damp hair before rough-drying, and it’ll do double duty in protecting and styling your strands. Before using a round brush, you should start by “pre-drying” your hair to get rid of any excess moisture. This is the part of the blow-drying process where you blast your entire head with heat to get about 80% of the moisture out of your hair. 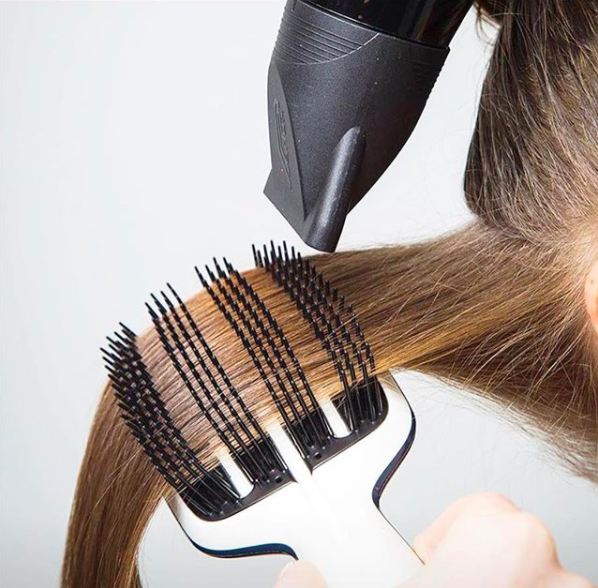 Apply your favourite heat protectant, then work the blow-dryer from your roots to your ends, moving your fingers in a fork shape to lift hair away from the scalp to speed up the process. It’s also important that you don’t concentrate the heat on one spot for too long. A good rule of thumb is to flip your head upside-down and dry that section first, before proceeding to the rest of your hair. This will give you some natural root lift and volume to your blow-wave. These steps work best when paired with a blow-dryer that’s designed to work as speedily as possible. 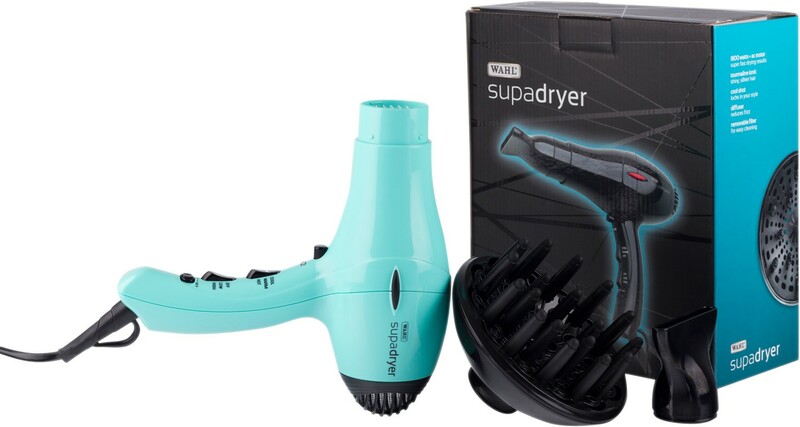 We love the Wahl Supadryer for super fast drying results, available at Reds now. Why Does Our Hair Go Grey? 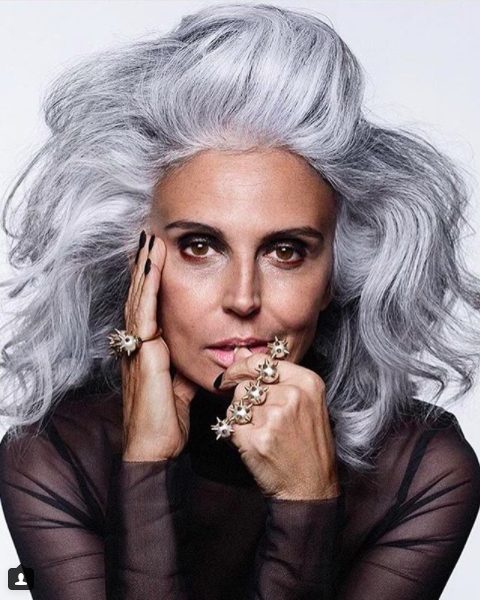 For many people, grey hair is a fact of life. It’s a sign that we are getting older and that our bodies are going through change. What creates our natural hair colour? To understand why hair turns grey, we first need to understand why it has colour in the first place. The answer is a special type of cell known as a melanocyte. These produce melanin, the pigment that gives your skin, hair and eyes their distinctive colours. Melanin comes in two forms, eumelanin (black or brown) and pheomelanin (reddish-yellow). Combinations of these two create the spectrum of eye, hair and skin colours found among humans. One way to understand how melanocytes determine hair colour is to think of these cells as tiny printers, applying their ink to paper. The paper in this case is our hair strands, formed of keratin, the same protein that makes up our fingernails. Just as a printer sprays ink onto a sheet of paper to produce an image, melanocytes produce pigments that are embedded into the growing hair strand, providing them with colour. The melanocytes live within the hair follicle, so each hair strand has its own colour-producing printer. While some people’s melanocytes print a lighter ink combination, such as blonde or red, others have darker colour palletes and so have black or brown colourations. Now that we understand how hair gets its colour, we can understand why it goes grey. In hair, grey is not a colouration like any other shade: it is the lack of colouring. The keratin of people with grey hair lacks pigment because their melanocytes have died, revealing the natural grey-white colour of the keratin protein. Because each hair strand has its own melanocytes, some go grey before others. Exactly what decides which strands go grey first is still unknown. However, age, exposure to certain chemicals and even the climate can influence how early the melanocytes die. The strongest influence, however, is written in our genes. The genetic influence on hair colour is so strong that if your parents have grey hair, yours is likely to grey at around the same time as theirs did. First off, it’s essential to select your shampoo and conditioner carefully. Avoid any shampoos and conditioners designed for dry hair. These products are often too heavy for oily-prone hair and may cause your hair to become dull and oily looking. Instead look for a product designed to add strength while not weighing your hair down. We love KEVIN.MURPHY’s Balancing Wash, an antioxidant rich shampoo for everyday washers that strengthens the hair and protects against colour fade. A fresh blend of botanicals makes this the perfect daily shampoo for hair strength and vitality. If you suffer from greasy hair, it’s likely to be because of oily buildup at the scalp. Consider using a purifying shampoo as this is a deep cleanser and will help remove any excess oil build-up. KEVIN.MURPHY’s Maxi Wash is a great detoxifying shampoo that breaks down fatty acids for a clean, clear scalp. The balancing essential oils penetrate the scalp to brighten hair and purify an oily or flaky scalp. It contains anti pollutant ingredients that remove build-up of unwanted products and chemicals. We recommend using a purifying shampoo on a weekly basis, followed with your usual shampoo and conditioner. When washing your hair, it is very important not to use too much conditioner as it can weigh down hair. Generally speaking, applying a 10 cent piece size amount of conditioner after two shampoos works best. Pro Tip: Don’t use water that’s too hot when washing your hair as it will strip the natural oils off the cuticle and stimulate the scalp to replace it immediately, leaving hair greasy. Instead, use warm to tepid tepid water for your wash and cool water for the last rinse to add shine.